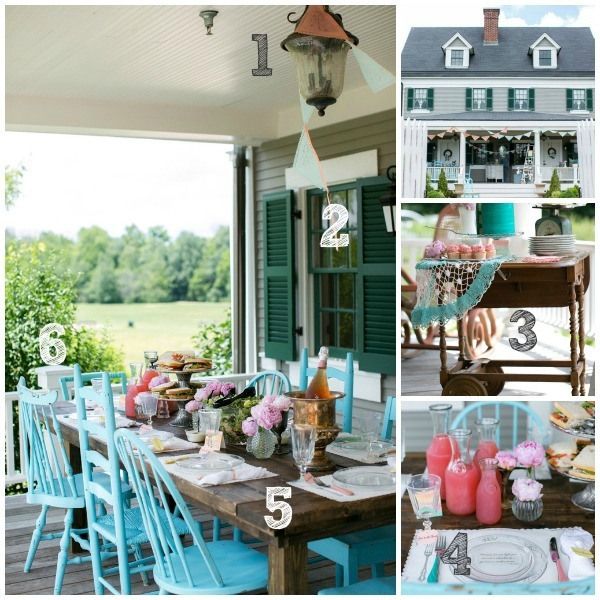 I found an outdoor party featured at Style Me Pretty, and I loved the look of it just as much as the reason for the celebration. Most of the party took place under the eaves of a large porch, and the decor for it was filled with timeless details like rustic wood, vintage glass, and lovely colors. This looks like the perfect way to spend an autumn afternoon with friends, so I’m sharing six ways to get this looks for less.